The contract, worth more than $4 billion, was signed during a visit by the President of Iraq to Moscow in October 2012. 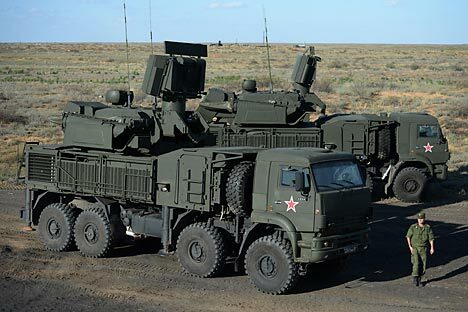 It involves the supply of 48 anti-aircraft missiles and Pantsir-S1 gun systems, as well as 40 Mi-35 and Mi-28NE helicopters. Baghdad originally planned to buy 36 Russian helicopters, but in April 2013, this number was increased by four. The first group of Iraq experts completed training on the operation of the Mi-35 in the Russian Air Force Centre in Torzhok. Later, Russia and Iraq, held talks on the supply of MiG-29M/M2 fighters and armoured vehicles, but the details of this meeting have not been made public. In addition, in June of this year, the two countries signed a contract to supply Ka-52 military helicopters to Iraq. The preliminary agreement for the supply of these aircraft was signed in October 2012.